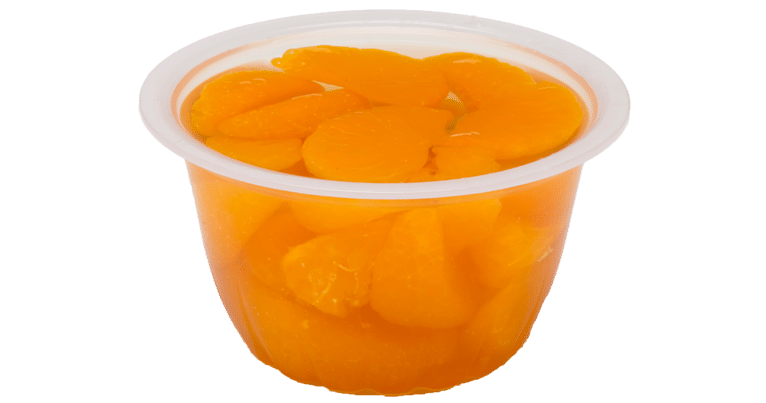 Mandarin orange fruit bowls in pear juice are packaged in plastic as easy to open single serve units. The bright orange mature units have the flavor and texture of properly processed mandarin oranges. Mandarin oranges, water, pear juice from concentrate, ascorbic acid (vitamin C) to protect color and citric acid.